Copal Tree Lodge | Tailwaters Fly Fishing Co.
Copal Tree Lodge is located near the town of Punta Gorda in southern Belize. Guests fly commercially to Belize City (BZE), then take a one hour flight to Punta Gorda, and a 20 minute drive to the lodge. 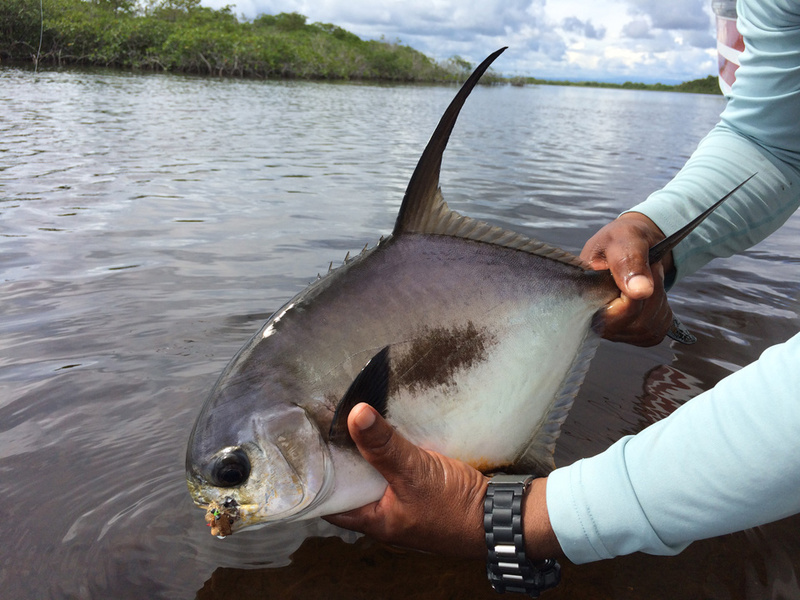 Southern Belize offers some of the best permit fishing in the world. While the snook fishing can be good at times and tarpon are available year round, permit are absolutely the main event. The diversity of the fishery, including hundreds of cayes and pancake flats, and also a huge lagoon system, provide consistent permit fishing throughout the year. “High” season is considered January-April, but Punta Gorda permit fishing is good year round. Tarpon fishing is best in summertime when more adult tarpon are in shallow water. Snook fishing is best in winter. Southern Belize is far enough south to be out of the hurricane zone, and the fishing can be fantastic in summer/fall when most Caribbean and Bahamian destinations are on storm watch. 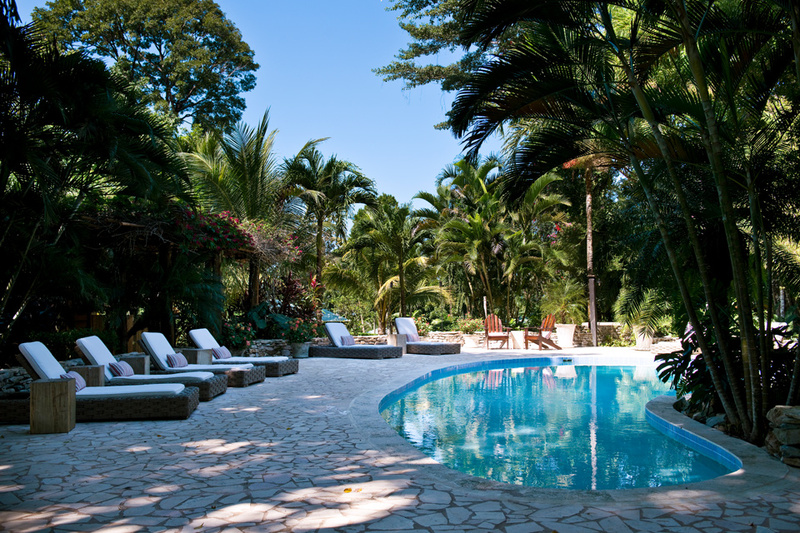 Is Copal Tree Lodge Right For You? Copal Tree Lodge is a luxurious jungle eco-resort that happens to be in the heart of some of the best permit fishing anywhere. Not only that, but its affordable — especially considering its high-end amenities. There are also tons of non-angling activities, a sophisticated spa, and delicious cuisine. This combination truly makes Copal Tree Lodge right for both hard-core permit fishermen and families alike. Copal Tree Lodge has several different rooming options, as well as “high” and “low” season pricing. A 7 night / 6 day package during June-December for a shared room/boat ranges from $3,675 to $4,350. During January-May, it ranges from $4,375 to $5,150. See RATES for inclusions/exclusions and more details. 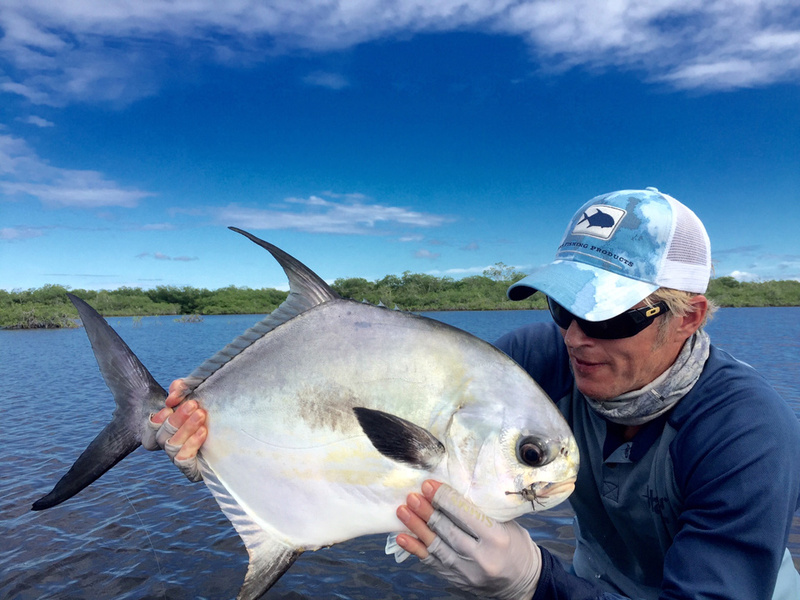 Copal Tree Lodge (formerly Belcampo) and the flats around Punta Gorda manage to pair some of the best permit fishing in the world with an eco and health conscious luxury resort, secluded by jungle on a 12,000 acre nature preserve and farm-to-table operation. A ton of thought and care go into the exceptional cuisine, amenities, and activities at Copal Tree Lodge. Punta Gorda is not a tourist town, has little in the way of shopping, restaurants, or nightlife, and has no beaches. Yet, just a few minutes away lies Copal Tree Lodge — a world renowned eco-resort and plantation. Copal Tree Lodge grows sugarcane, cacao, coffee, vanilla, coconut, fruit, livestock, and more than 70% of the ingredients served at its award winning restaurant. Much of the remaining 30% is sustainably harvested local seafood. Copal Tree Lodge is also amazingly affordable for what it offers. The accommodations and amenities at Copal Tree Lodge are far beyond anything associated with most fishing lodges — and so is the permit fishing. The Garbutts (legendary Belizean permit guides) are the guides. They grew up in the area, probably spending more time on the water than on dry land, and have been guiding fly fishermen for decades. They are the only permit guides in the Punta Gorda area, meaning little competition or fishing pressure from other anglers. 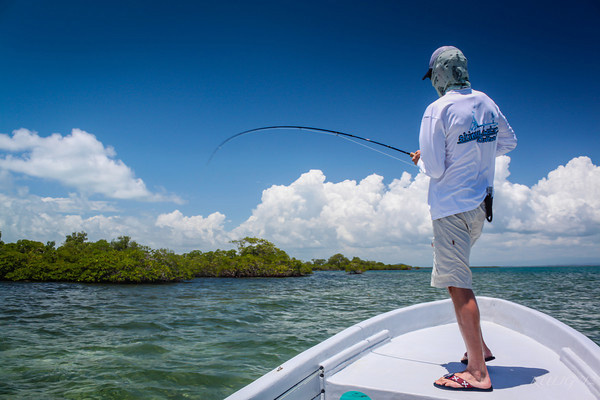 The Punta Gorda flats are a nice mix of cayes/pancake flats and a huge lagoon system, which provides diversity to the fishing and consistency under various conditions. In the backwoods, sleepy town of Punta Gorda that receives little tourism, the upscale eco-resort and farm-to-table plantation Copal Tree Lodge seems unreal — like discovering a secret garden. The main lodge area is nestled on a high hill, surrounded by jungle and overlooking a river with tarpon and snook. Most visitors to this secluded escape come just to relax in style, immerse into the natural world, and explore the area’s non-angling activities. When you throw in permit fishing as good as anywhere in the world, you have a recipe for a fishing destination to call home and return to many times. Belizeans in general have an infectious sense of humor, fun-loving attitudes, are proud, smart, laid back, environmentally conscious, generous, and simply a pleasure to be around. Having visited Punta Gorda many times, we truly feel that we have a second family there — relationships that are difficult to achieve in the busier destinations throughout Central America and the Caribbean. Even with its remote and undiscovered feel, travel to Punta Gorda is surprisingly quick and easy. U.S. anglers generally leave home in the morning on a 2.5 or 3 hour flight to Belize City, arriving mid-day, followed by a one hour flight to Punta Gorda that arrives mid-afternoon. There are no long, bumpy van rides or water taxis. There are no language barriers. There are also no beaches, and no shopping or nightlife to speak of. But there is a ton of natural beauty, relaxation, good vibes, and happy permit. 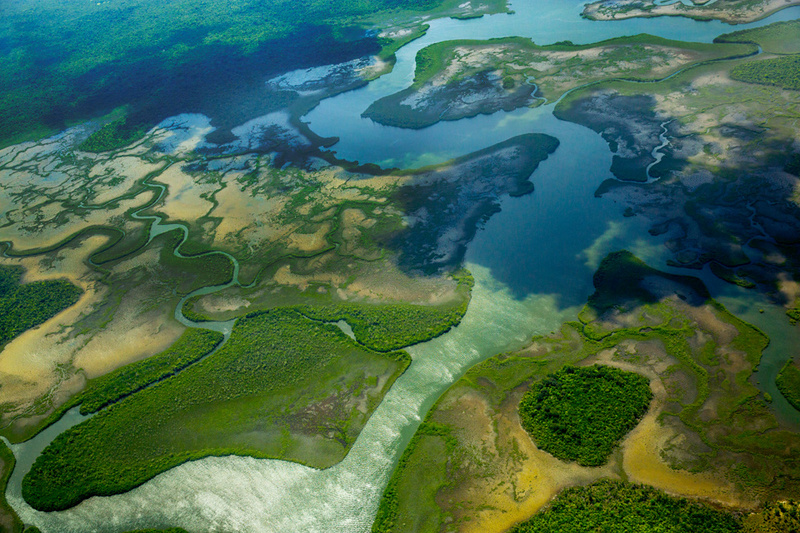 Southern Belize and the waters of Punta Gorda deserves its reputation as a permit fishing mecca. A lot of fish live here, and contrary to the beliefs of some, they are not small fish. Most fish caught are 10-15 lbs, there are plenty of fish over 20 lbs, and a few over 30 lbs. Not many locations where you can specifically target permit and expect double digit shots on most days can match that. And as far as permit go, they are willing to eat a fly. We have been skunked (this is permit fishing after all) but we have also had anglers catch over ten permit in a week! A big part of what makes the permit fishing in Punta Gorda so consistent are the two main types of flats. There are hundreds of cayes and pancake flats “outside,” which are made up of sand and turtle grass. Most of these flats are normally patrolled by schools of permit. But if the outside flats do not have many fish, it is typically because the permit are in the huge lagoon system “inside.” The lagoon system is within a national park and is truly wild — jaguar sightings are not an infrequent occurrence and the bird life always provides entertainment. The water in the lagoon system is clear, but is a tea-stained color with a brown bottom due to the decaying mangrove leaves. Most of it is less than two feet deep however, so the permit usually tail or push water. When they do, it is especially visible due to the protected nature of the lagoon. It is hard to maintain your composure when you see a permit pushing toward you from hundreds of yards away! Access to both the outside flats and the lagoon system mean that you will almost always find fish regardless of weather conditions and other factors that can shut down less diverse fisheries. In addition to the outside flats and the lagoon, there are a few flats along the Belize Barrier Reef, which ends at the Sapodilla Cayes offshore of Punta Gorda. However, it is more than an hour ride in open water to the reef, with comparatively little fishable water when you finally arrive. It is beautiful, however, with coral and crystal clear water — a great place to snorkel or dive for non-anglers or if you would like a break from fishing. The Garbutt family (brothers Scully and Oliver, cousin Yogi, Uncle Victor) has called southern Belize home for generations and have been THE Punta Gorda permit guides for decades. They are true watermen and know the area and fish better than anyone. They are accomplished fly fishermen in their own right, tons of fun to fish with, but above all they are capable, knowledgeable, and experienced guides who know how to put permit in the boat. The Garbutts run 23’ center console superpanga skiffs with comfortable cushioned seats, YETI coolers, and a forward casting deck with lean bars. There is very little wading in Punta Gorda so almost all of the fishing is from the bow of the skiff. The Garbutts are excellent outboard mechanics. Snook, tarpon, bonefish, barracuda, snapper, jacks, triggerfish, and all the species usually encountered on or near the flats of Central America are found here. 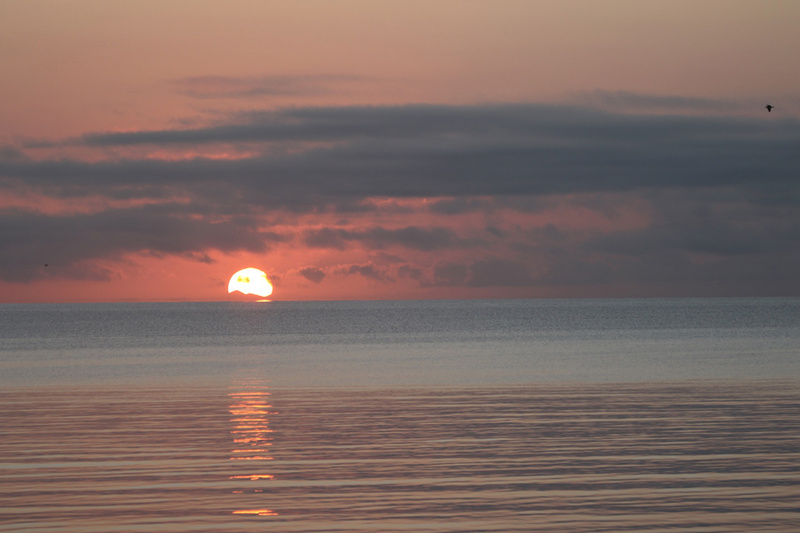 However, Punta Gorda would not be considered a top destination for a grand slam. 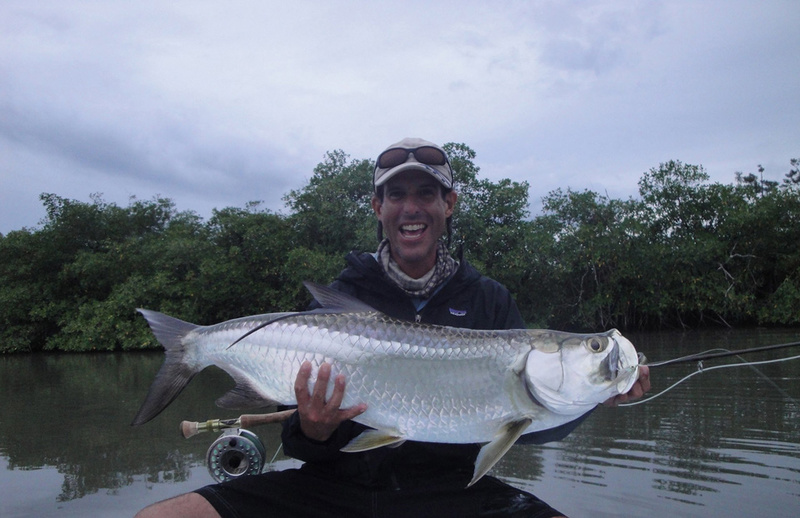 Adult tarpon show up in the summertime, but at other times of the year the tarpon fishing is sporadic. If your trip is in the summer, you should definitely bring a 12 wt. If you hit it right, you will find big schools of big fish — up to 200 lbs. They are usually found holding in deeper water near the flats, and a sink-tip line increases the number of eats and hookups dramatically. At other times of year, there are usually a handful of small to mid-size tarpon either rolling a short way up river mouths or cruising a few select locations on the flats. But they are not always visible and do not always cooperate. Tarpon should definitely be considered a bonus. It is a similar story with snook — the fishing can be very good in winter but slow the rest of the year when the fish migrate north along the coast. In the winter, sections of local rivers hold decent numbers of 5-25 lb snook with most in the 10-12 lb class. They usually hold just behind the wall of vegetation that comes right down to the water — so they can be a challenge, but well worth it if they are there. The rest of the year there are a few spots in the lagoon or along shorelines that sometimes hold snook. One problem is that snook are delicious and commercial fishing/netting take a toll. Snook are protected (as are permit, bonefish, and tarpon) but enforcement is a problem. Lately, however, the government has been stepping up enforcement efforts and we hope for and expect fabulous snook fishing in the near future throughout Belize and especially in the Punta Gorda area. We catch bonefish every trip to Punta Gorda, but it is an odd version of bonefishing. Large schools of average size Belizean bonefish (and a few over 5 lbs) can be found in a handful of specific spots out at the reef (more than an hour boat run). A couple of these schools tail in shallow water, but several of them hang out in fairly deep water. 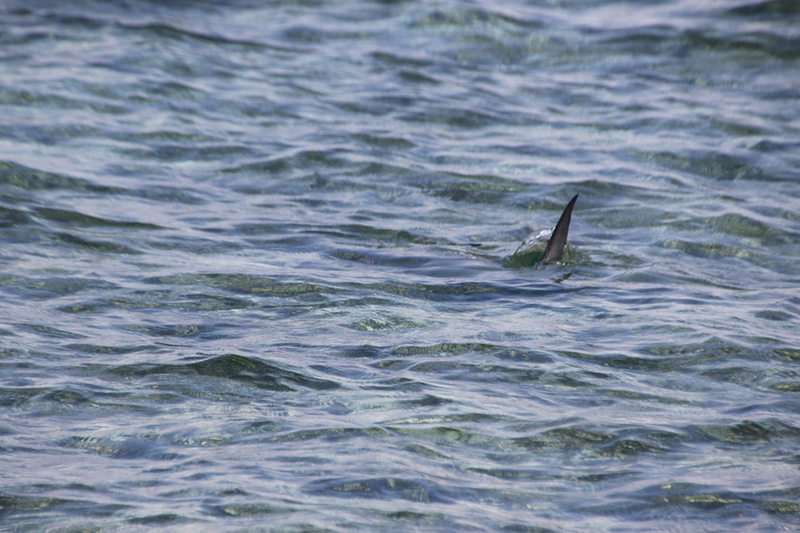 There are also bonefish scattered throughout the lagoon. These are usually larger fish, from 3-7 lbs, in singles and small groups of a few fish. But these bones are usually spotted while looking for permit, after they are already in casting range due to the visibility in the lagoon. Since there is usually not enough time to switch rods or put on a bonefish fly, anglers present permit crabs to these bonefish, often successfully. Snapper, hard- fighting jacks, and barracuda are often encountered if you would like a diversion from the hunt for permit. But the opportunities for all other species pale in comparison to the permit fishing, which is what makes this fishery special. 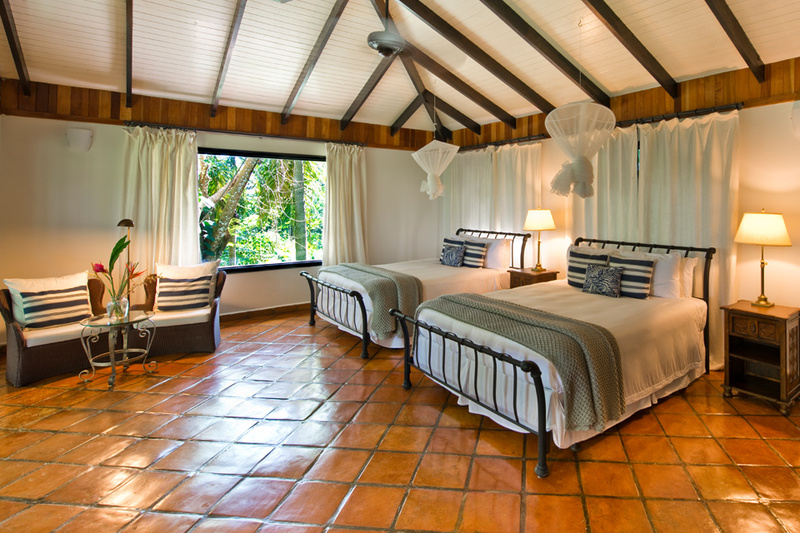 Copal Tree Lodge feels less like a fishing lodge and more like a private retreat for Belizean royalty. Open-air Landcruisers collect guests at the Punta Gorda airport for a short trip through town to the Copal Tree Lodge estate. A sense of serenity and exclusivity is palpable upon passing through the gates to this 12,000 acre nature preserve and plantation. The Lancruiser passes by agricultural fields growing crops such as sugarcane, cacao, coffee, vanilla, coconut, and fruit on the way to the “Big Hill.” The drive climbs through the jungle up to the main lodge at the top of the hill, and although the grounds are meticulously landscaped, the lodge seems to grow right out of the hill and blend with the rainforest surroundings. From the main lodge to each privately sited guest suite, nearly every detail of the woodwork, tile, and artwork is sourced from local artisans. The main lodge is open-air and has a reception area and bar at ground level, and restaurant upstairs — all overlooking the jungle and Rio Grande river just a short way above the Caribbean. Every detail of each guest suite has been carefully selected for luxury, relaxation, privacy, and to blend with the natural landscape. Suites each have a private veranda, canopy bed, spa-style bath and walk-in shower, locally made soap, bathrobes, and floor-to-ceiling views outside. They are spacious, air-conditioned, equipped with wifi, and come with complimentary laundry service. Not your average fishing lodge. A full service spa offers several styles of massage and skin treatments. Copal Tree Lodge offers many non-angling diversions, from birding and nature hikes around the property, to tours and classes on various aspects of Copal Tree Lodge’s farming operation, to excursions around the area such as visiting Mayan ruins, caves and waterfalls, or snorkeling and diving in the ocean. Not everyone goes for a hike or bike through the farm or nature preserve, but every guest partakes in the culinary delights offered by Copal Tree Lodge. The resort clearly takes great pride in its cuisine, from the moment seeds are planted in the ground until a gourmet meal is served. 70% of the food served by Copal Tree Lodge is produced on the estate — vegetables, fruits, spices, livestock, coffee, and more. The seafood (fish, lobster, conch, wild shrimp) is harvested by lodge staff or purchased from local fishermen. The farm-to-table dishes are inspired by traditional Belizean preparation and ingredients, which include a blend of Mayan, East Indian, Creole, Garifuna, and Latin influences. The quality of the ingredients is unmistakable; this is food that inspires the mind along with the taste buds. Copal Tree Lodge is a model of good land-use practices that seek harmony with nature, and manages to do it with style and sophistication. 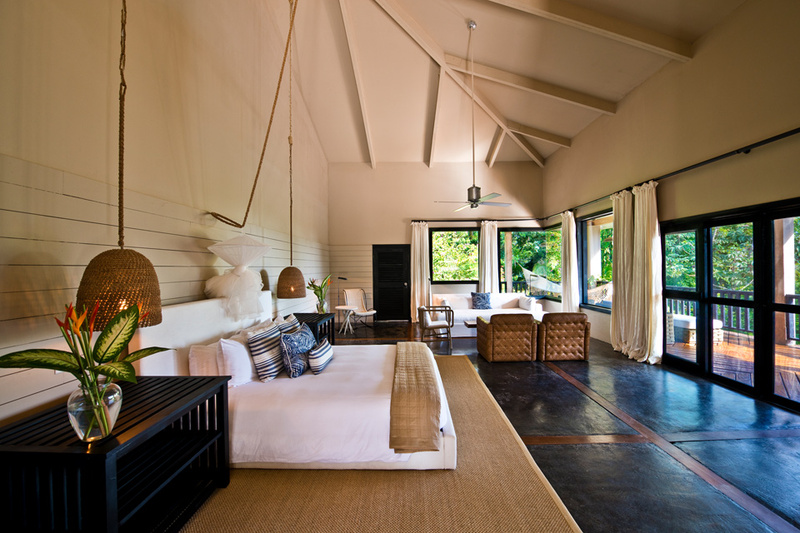 But even though it offers far more amenities than most fishing lodges, Copal Tree Lodge is surprisingly affordable. A three hour flight to Belize City followed by a one hour flight to Punta Gorda. Travel to Copal Tree Lodge is that easy. Belize City is serviced by the major U.S. airlines with multiple daily flights from DFW, Houston, Miami, and Atlanta. Most of these flights leave the U.S. mid-morning and arrive in Belize City between 12:00-1:00 p.m. After arrival in Belize City, guests clear customs and immigration and then check in for the flight to Punta Gorda on local airline Tropic Air. There are flights from Belize City to Punta Gorda every two hours throughout the day. Most guests take the 2:45 p.m. flight, which arrives in Punta Gorda at 3:45. Tropic Air operates turbo-prop Cessna Caravan aircraft, and have impeccable service and safety records. The cost of this flight is included in the trip package. Upon arrival in Punta Gorda, a Copal Tree Lodge representative greets guests and loads up luggage for the 20 minute drive to the gorgeous property. Depart home for Belize City (BZE). Flights on most major airlines arrive mid-day. Take the next flight to Punta Gorda, Belize. There are flights from Belize City to Punta Gorda every two hours throughout the day. Most guests take the 2:45 p.m. flight, arriving in Punta Gorda at 3:45. 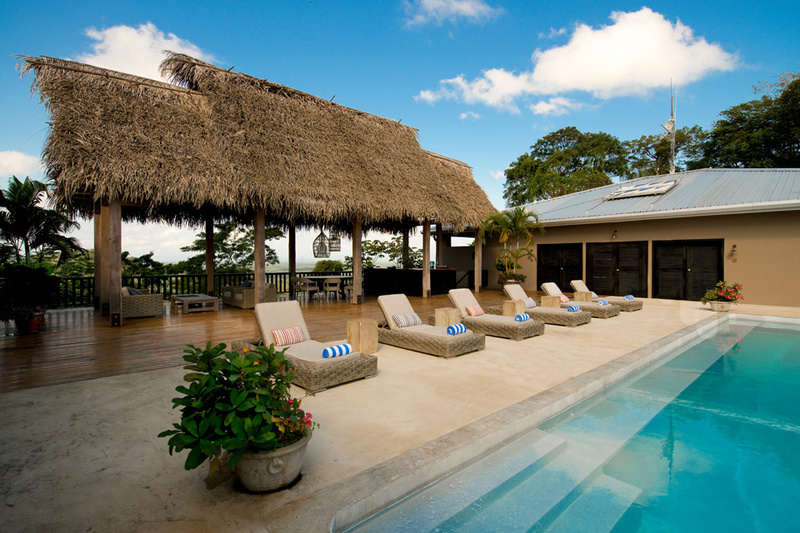 Upon arrival in Punta Gorda, guests are picked up and transferred 20 minutes to Copal Tree Lodge. You may customize your fishing schedule, but a typical day begins around 6:00-6:30 a.m. with coffee and breakfast at Copal Tree Lodge. Then depart at 7 a.m. for Garbutt’s Marine in Punta Gorda. Your guide will help you load your gear, check your equipment, and then leave to fish by 8:00 a.m. Take lunch on the water and return between 4:00-5:00 p.m., depending on where you fished that day and whether the fish are cooperating. Back at the lodge, clean up and decide what to do next. Simply relax and order a cocktail/appetizers, or explore the property and its complimentary non-angling activities like hiking, birding, bicycling, kayaking, workout facility, etc. Have a delicious dinner at your leisure, and place your order for breakfast, lunch, and beverages the next day. After check-out, guests are driven back to the Punta Gorda airport for a mid-morning flight back to Belize City. Check in for flight home, which typically departs early-mid afternoon depending on your destination. Copal Tree Lodge is open year round and the permit fishing is good year round. 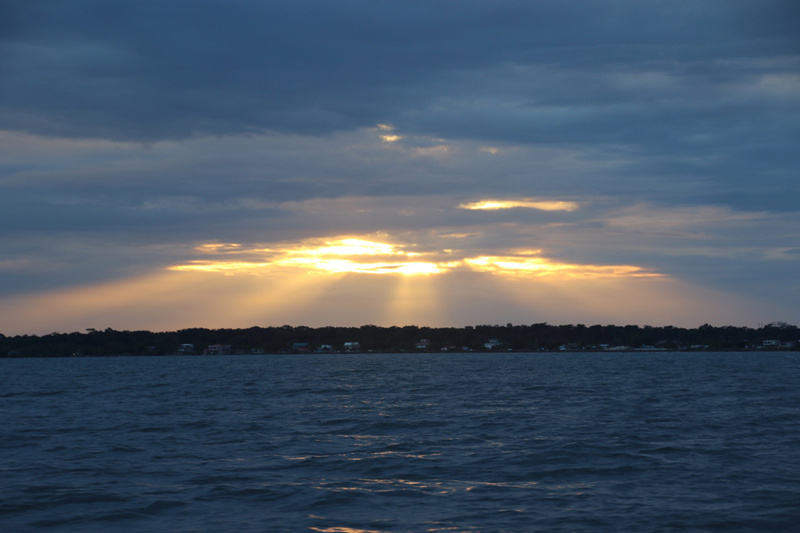 Springtime is most popular among anglers for the consistent good weather. However, we have had our best trips during summer and winter, and fall fishing is normally as good as the spring. Just as with any fishery, bad weather can happen any time of year, and along with it slower fishing — but the reverse is also true. Spring typically sees the most consistent weather in southern Belize — mostly sunny with moderate breeze and cooperative fish. The flats see the most traffic this time of year as it is the season favored by most fishermen. If you would like to visit Copal Tree Lodge in the spring, plan on booking well in advance unless you get lucky or there is a cancellation. Summer is considered the wet season in southern Belize, but most often the heavy rains fall at night, with the clouds clearing to blue skies and great conditions during the day. The hot, sunny days of summer really heat up the permit fishing, with lots of fish tailing in the shallows. Although the temperature is only slightly warmer than at other times of year, the typically light winds can make it feel hotter. But those are the conditions that make permit very happy. Summer also brings in large schools of adult tarpon to the shallow water. 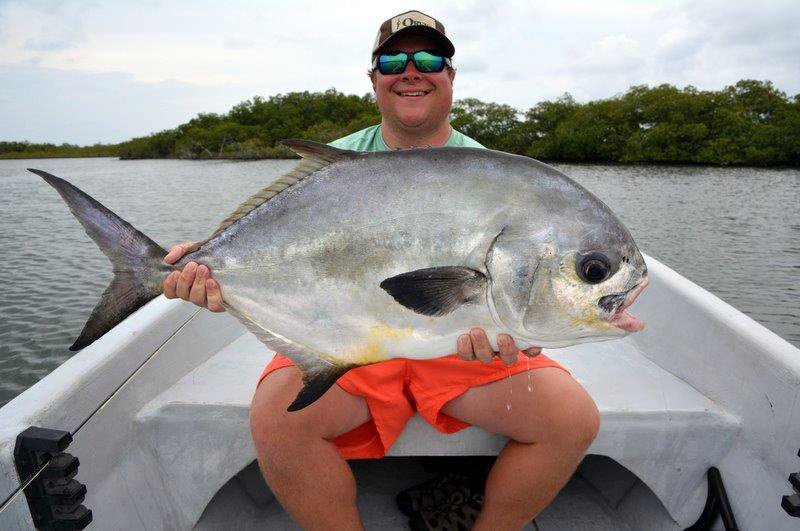 Depending on the year, fall can bring incredible permit fishing to southern Belize. If wet weather occurs it can slow things down, but usually the conditions are similar to those in spring. And not only are the conditions typically very good, but there are fewer boats on the flats — and the fish take notice. Many other destinations in the Caribbean and Bahamas close during late summer and early fall for hurricane season, but Punta Gorda is far enough south to be out of the hurricane zone. It is very rare for strong tropical storms to make landfall in southern Belize. Unless the weather gets socked in, winter is a GREAT time to be on the flats in southern Belize. Sunny winter days mean comfortable temperatures, light breezes, and unpressured permit. The snook fishing is also best during winter, as the snook migrate down the coast and winter in the mangroves a short way up river mouths and in other favored locations in the lagoons and flats. Copal Tree Lodge offers more fun non-angling activities than can be experienced in one trip. These include a number of great options without ever leaving the resort property, as well as tours of area attractions on land and at sea. Many of the activities are for all ages, but Copal Tree Lodge also offers classes, tours, and activities specially geared for children. 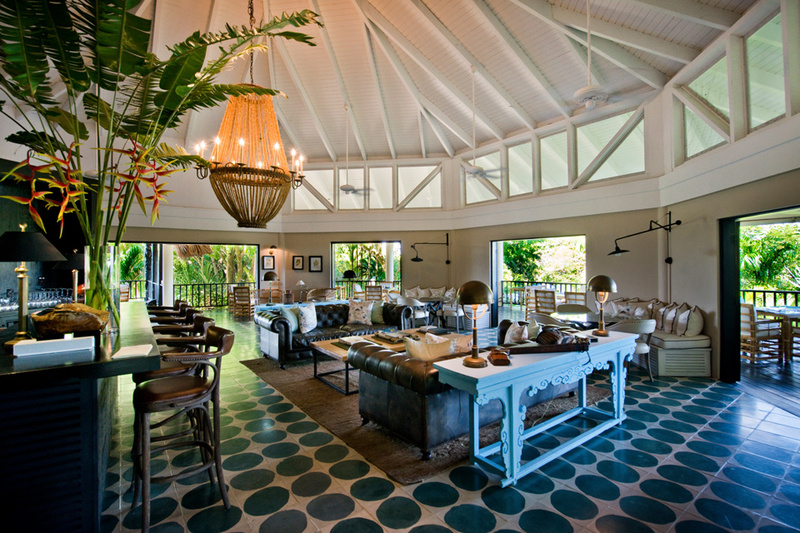 The farm not only provides the cuisine for the resort, but a host of activities for guests. Tour the farm, including the organic gardens, greenhouse, and pasture-raised chickens, lambs, and pigs. The agricultural operation includes gourmet coffee growing and roasting. Guests can take part in a workshop on the various methods of growing, roasting, and brewing coffee, or an in-depth coffee tasting led by the resident coffee expert. Copal Tree Lodge offers a similar class on the entire process of transforming organic cacao into high quality chocolate. Guests can even take a “jungle foraging” tour that teaches how to live off the land and forage in the jungle. 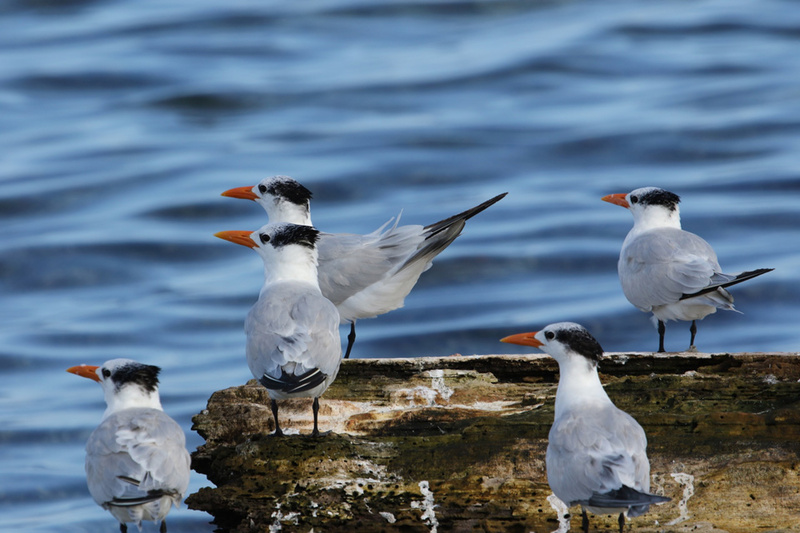 Discover the area’s incredible bird life on a guided bird watching excursion, and see toucans, the rare ornate hawk-eagle and other raptors, euphonias, hummingbirds, parrots, manikins, kingfishers, and parrots. Kids are welcome to participate in any age-appropriate activity offered by Copal Tree Lodge, but the resort also has activities specially for the kids. These include farm tours and programs to introduce kids to lambs, piglets, and baby chicks, and to learn about healthy and delicious eating. Kids love the the “Bean to Bar” class where they make chocolate from scratch. They can also go zip lining or river fishing. Complimentary non-angling activities include hiking trails through Copal Tree Lodge’s 12,000 acre nature preserve, mountain biking around the area, and canoeing/kayaking the Rio Grande river that borders the property. All of these activities highlight the area’s abundant flora and fauna, including amazing bird life, iguanas and other reptiles, and mammals like tapirs and howler monkeys. Copal Tree Lodge also has a gratis workout facility with free weights, treadmills, stationary bikes, yoga mats, and various other equipment. Copal Tree Lodge’s Jungle Spa is a serene sanctuary overlooking the rainforest canopy. Using only locally sourced ingredients and botanicals, each treatment is designed for relaxation and renewal. If you would like to relax after a day of activity or address a specific concern, the Spa has a treatment to help heal mind and body. These include several styles of massage, scrub treatments, mud wraps and facials. The products used by the spa are locally made exclusively for Copal Tree Lodge by Casa Mascia Apothecary, a team of practicing doctors and farmers who focus on ancient remedies hand-made in the traditional artisanal way with local ingredients. All prices based on shared room/boat. Please inquire about pricing for individuals. Suite upgrades are available for around $50-100 per night. Shorter and longer packages are available. Respective number of fishing days with a professional guide; round trip Tropic Air flights between Belize City and Punta Gorda; nightly accommodations; all meals; afternoon snacks; use of gym; laundry service; self-guided complimentary activities (kayaking/canoeing, mountain biking, onsite hiking); ground transfers between Punta Gorda airstrip and lodge; tax and service charge. Packages for any number of days fishing are available. 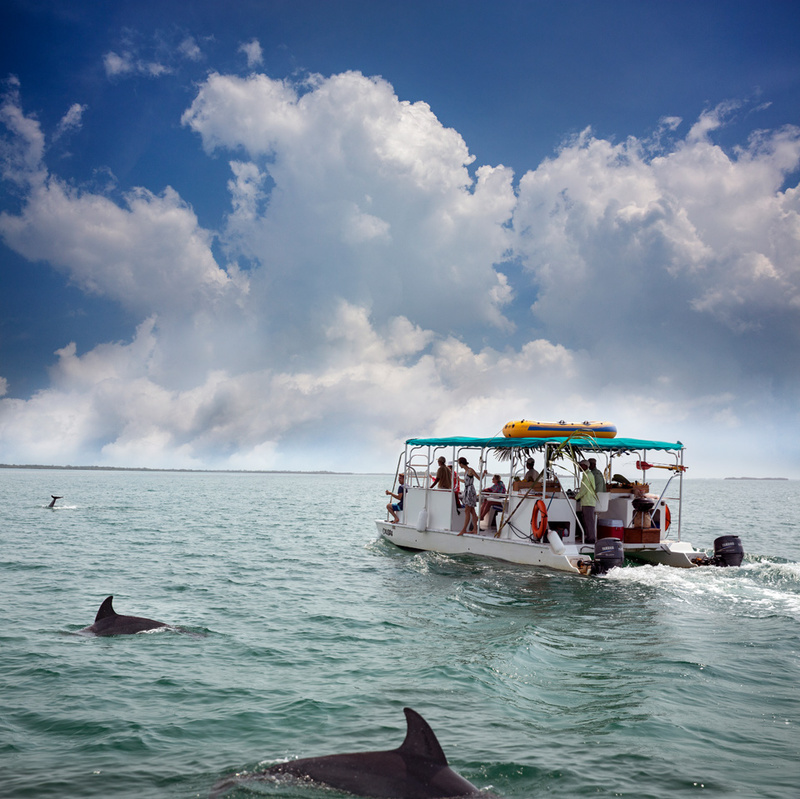 Airfare to/from Belize City; gratuities; bar tab / alcoholic beverages; gift shop purchases; rod and reel rental fees; flies and other fishing equipment; spa services; guided non-angling / eco-tours; entry fees to parks and sanctuaries on guided tours; $20 (US) or $40 (BZ) Belize departure tax. Tailwaters Travel must adhere to the cancellation policies of the guides, outfitters and lodges which it represents. Copal Tree Lodge’s policy follows: a refundable deposit of 50% per person is required to hold both space and guides on all packages. No space or guides will be held without receipt of deposit. Full pre-payment is due at Copal Tree Lodge 30 days prior to arrival. Prior to 60 days, a full refund minus 4% may be granted to cancellations or 100% of deposit may be transferred to another date/angler. If cancellation is 30-60 days prior to arrival date, 50% of the entire value of booking will be refunded. No refunds are issued for cancellations within 30 days of trip dates.